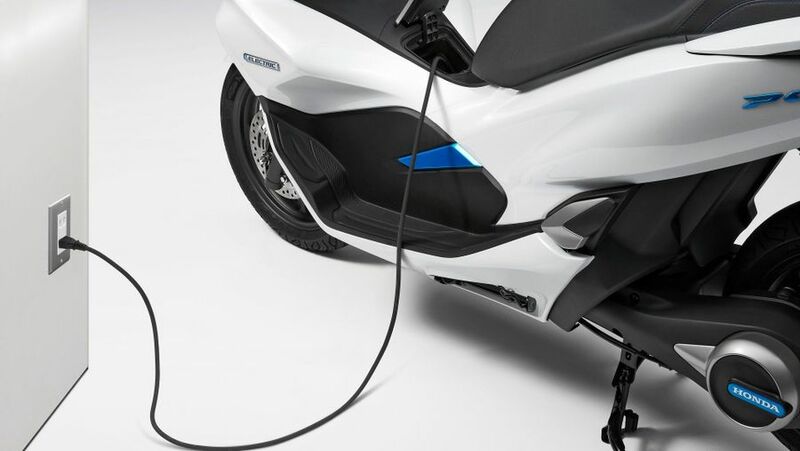 BMW currently leads the major manufacturers by already offering an electric-powered maxi-scooter, the C Evolution. In addition, Harley-Davidson has promised to puts its LiveWire electric machine into production in 2019. But the reality so far is that no electric machine has yet to succeed in the mass market, primarily due to price. The C Evolution has effectively priced itself out of the mass market by costing £12K+; Californian firm Zero’s range of admirable but niche electric bikes are similarly burdened by prices similarly starting in excess of £12,000; while the Italian Energica superbike starts at over 25 grand. But the news that the world’s leading motorcycle manufacturer, Honda, is now set to produce its own electric machine and one likely to be at the far more affordable end of the market, could finally change all that. At the Tokyo Motor Show just before Christmas, Honda quietly unveiled not one but TWO radical, electric versions of its best-selling PCX scooter with promises to put them on sale before the end of this year (albeit only in Asia to begin with). 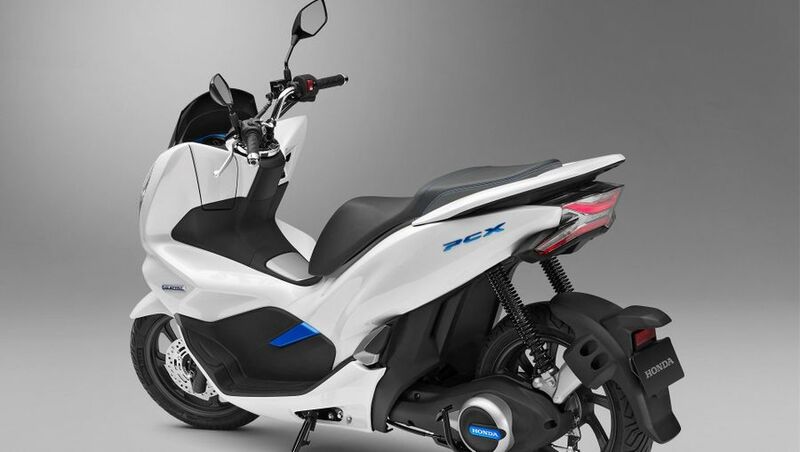 Its ‘PCX Electric’ uses the familiar PCX125 scooter platform (which is Europe’s best-selling scooter) but is driven by an electric motor in turn powered by a pair of batteries located under the seat. So far, so conventional. The clever bit, though, is that those batteries can be removed and replaced in seconds by fully-charged ones, so sidestepping usual electric range/charging time concerns. It’s a system European scooter giant Vespa is also currently proposing with a forthcoming electric version of its Primavera scooter, the ‘Elettrica’, which the Italian firm unveiled in November in Milan and also promises to put on sale this year. So one way or another it looks like affordable, electric, mass-market scooters are finally on their way. But perhaps even more significant was the other PCX variant Honda unveiled in Tokyo. 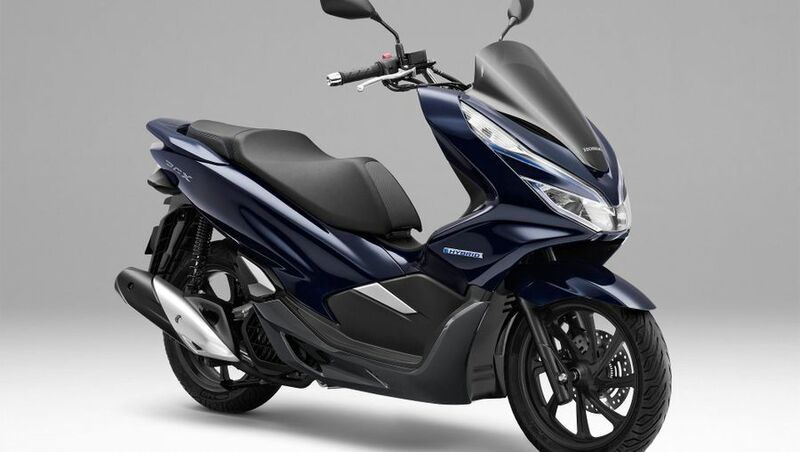 The ‘PCX Hybrid’, as its name suggests, has, instead of soley electric power, a combined, hybrid petrol/electric powertrain of the type increasingly popular in the car world and which, until now, was considered impossible on bikes due to packaging difficulties. 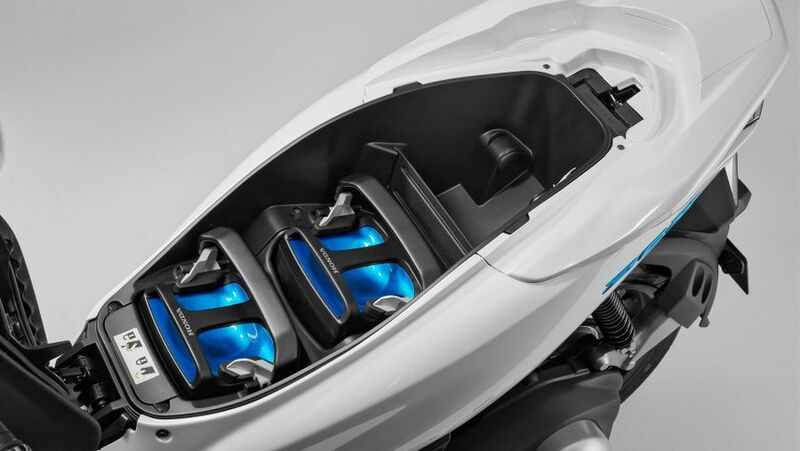 Although specific technical details are still scarce, if Honda have pulled it off the possibilities are enormous as the use of hybrid power not only negates, at a stroke, conventional electric range concerns but also raises the possibility for hybrid performance motorcycles which combine ultra-low emissions with thrilling performance. And that, once achieved, will really be the fillip that puts electric motorcycles in the mainstream. Watch this space.